My Maui Yoga highlights the Yoga posture known in sanskrit as Hasta Pada Prasarita Padmottanasana, also known as hand to foot wide legged forward fold pose, is an effective asana or Yoga posture for stretching the back of the legs, strengthening the quadriceps or front of the legs, calming down the central nervous system and energizing the body. This posture can be done by all levels. If you need to modify this posture because you have tight hamstrings then please bend the knees a little bit to ease the back of the legs. As you root the feet down, also pull up with the hands creating a bhanda or locking system that will enable a stretch in the shoulders. Breathe deeply and relax the face. You want to begin with five deep breaths. The longer you hold the posture the greater the benefits become. While holding Yoga poses sometimes our minds can begin to wander. 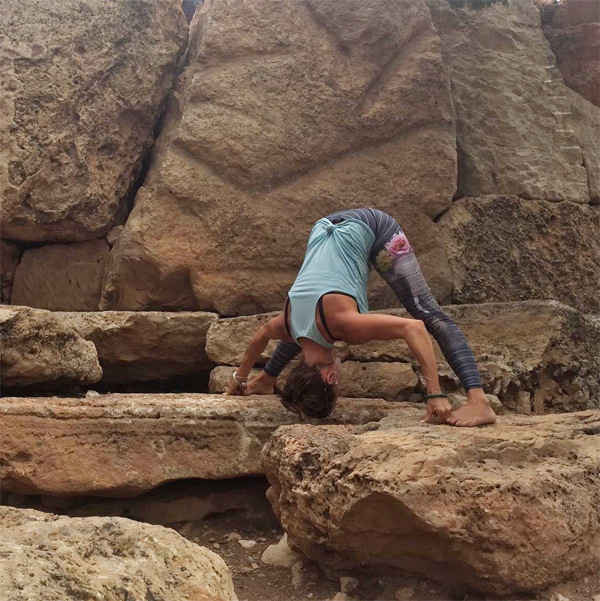 This is when we bring it back to the breath and focus on breathing deeply in the Yoga pose and where you are feeling the posture in the body. At this point in the posture you become an observer to the body and how the Yoga posture is affecting you. Come out of the pose slowly and take a couple of deep breaths before transitioning into the next pose or moving on with your day. This Yoga posture is wonderful for those wishing to add flexibility to the legs and back. It is also a great posture to do on a daily basis to keep the spine and legs limber and to keep the central nervous system in check. 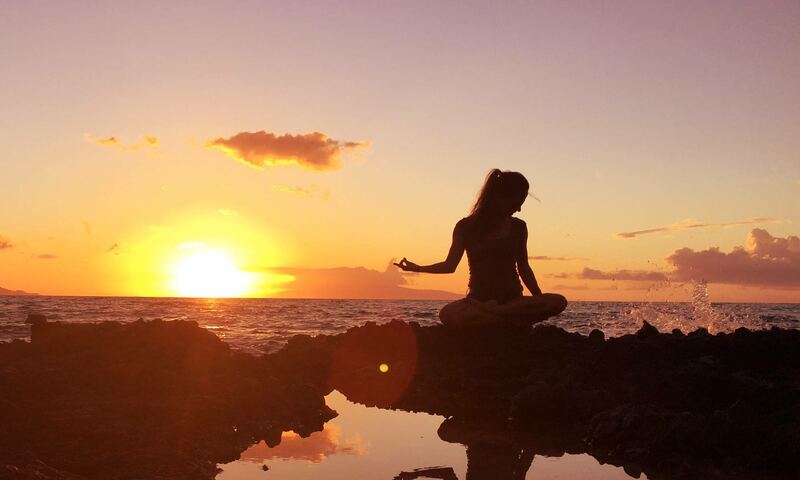 Enhance your practice with a Private Yoga Class on Maui.